Our many benefits and services cover all aspects of Jaguar/Daimler/SS vehicle ownership. For a low annual fee, you’ll receive free roam of our massive information base, friendly support from other members who care just as much as you do, our fantastic monthly magazine, and exclusive access to offers on merchandise, event fees, and specialist insurance packages. All these benefits mean you could potentially save up to a potential 10 times your annual membership. Read more below on how you could save with our benefits and services packages. 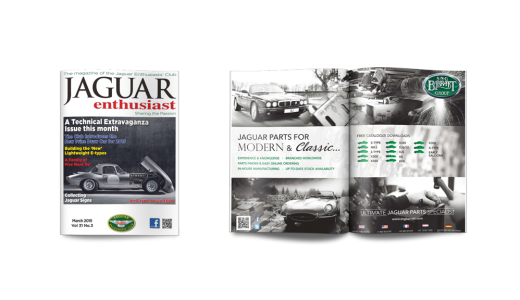 Our official club magazine Jaguar Enthusiast is a monthly full colour magazine packed with model-specific sections, details of full and partial rebuilds, in-depth technical discussions, servicing issues, new model announcements, historical retrospectives, specialist features, club events, regional news, and the largest selection of classified Jaguar adverts in print. Whats more is it gets delivered to your door, or you can read it online at no extra charge. JEC members receive a discount when ordering parts direct from SNG Barratt. 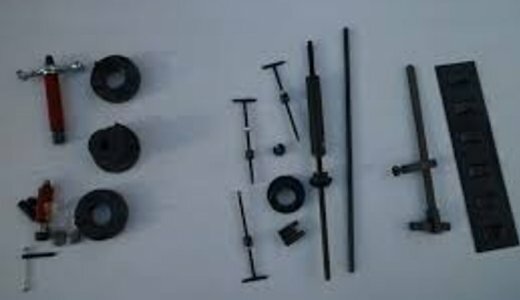 Save yourself time, money and effort by visiting the largest supplier of Jaguar Parts. 16inch and below 2 tyres = £10|4 tyres = £30. 17inch 2 tyres = £30|4 tyres = £70. 18inch and above 2 tyres = £50|4 tyres = £100. The offer is applicable only to members of the Club and their close family and covers any make of car with a maximum of 8 tyres in a single year. Whether you are selling or buying, the Club has teamed up with Silverstone Auctions to provide you the best deal to help you. Selling? Silverstone Auctions offer free auction entry of car into sale. Buying? 50% discount on entry to the auction. Meguiar's are our car cleaning and polishing partners. Offering huge savings to Club members when they order the items direct from the JEC. Providing products to the novice and expert cleaner alike, protect your Jaguar from the elements. Meguair's offer members exceptional savings through specially selected items, from kits to meet your needs or individual items to keep your car clean and protected. Staffed by a highly experienced team of engineers and technicians, CMC operate from modern 60,000 sq. ft. purpose built premises based in Bridgnorth, Shropshire, in the United Kingdom, where some 50 to 60 cars can be found in the workshops every month, ranging from classic classic Jaguars to Aston Martins, Bentley, Ferraris and Lancias and more, including modern prestige marques. Moss parts suppliers. JEC Members receive a 10% discount when ordering parts from them direct. JEC Members receive a 10% discount when ordering parts from them direct. Hamilton Classic supply car covers both indoor and outdoor, plus other handy items to help you keep your Jaguar in tip top condition. Members receive a 10% discount when ordering through the Club. Scenic and Continental Car Tours are our tours partner supplying unaccompanied tours for you to book and enjoy whether as a group or individually. Whats more JEC members get £50 off when joining or renewing their membership! Scenic & Continental Car Tours is a trading name of Albatross Motoring Limited and a part of the Albatross Group Limited and as such, has a wealth of experience in marketing, promoting and organising specialist touring holidays and short breaks throughout the UK and Europe. We take great pride in putting our customers at the very heart of everything we do, providing a diverse and innovative range of tours at competitive prices you can rely on whilst delivering winning results for you, as well as offering the highest levels of service. Travel Destinations is the UK's leading classic and sports car tour operator. Together we bring you the best in accompanied tours in the UK and beyond. Established in 1996 we are the only classic and sports car tour operator to be both members of Association of British Travel Agents and the Association of Independent Tour Operators. Duckhams, the British oil brand, is well known and respected by classic car enthusiasts for it’s high quality, green coloured motor oils. JEC Members receive free P&P when ordering from Duckhams. Many of the iconic car manufacturers that built the classic cars of today recommended the use of Duckhams lubricants in their engines and drivelines. The 10th November 2017 marked the return of the new and improved Classic range; when we re-launched at the NEC Classic Motor Show. Just like you, we’re all car and bike enthusiasts here at Vintage Tyres. That’s a thread running through the history of the company which was founded in 1962 by enthusiasts determined to keep older cars and bikes on the road. Members discount 10%! Perfect for finding those hard to fond tyres to help keep your classic car on the road in in period. Find tyres for your classic now! Established in 1998 by two keen racing and classic car enthusiasts' Barons is the perfect choice to sell or buy your next Jaguar. Whats more members get free entry to their auctions and 50% off sellers entry fees. Since the new millenium British Parts has been supplying the Trade & British car enthusiast with Genuine OE & quality direct replacement new parts for Jaguar & Land Rover vehicles. 10% Discount for JEC members. We dispatch over 800 individual parts orders every week and deliver throughout the UK and Europe plus export to most countries worldwide. We deliver new parts and accessories to enthusiasts, garages and Auto parts shops with fast secure and insured delivery providing our customers with total peace of mind. Car interior can be one of the first places to show its age, but with Furniture Clinic you can can restore the inside of your Jaguar. Whats more JEC members receive a 20% discount on products. Swallows and Swallows Racing do anything and everything JLR, its in our blood. Below is a list of some of the services we have to offer, including general maintenance and performance upgrades. JEC Members receive a 10% discount. Swallows stems from a blend of family influences and engineering expertise spanning 3 generations. 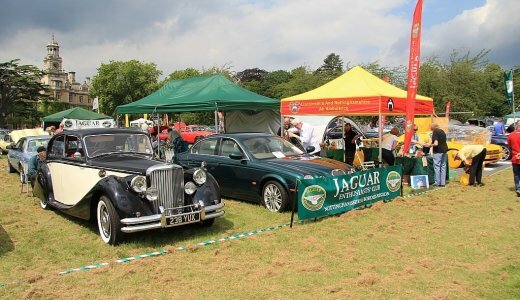 Gary Robinson, founder began Swallows in 1985 after completing a five year apprenticeship specialising in both vintage and modern Jaguar automobiles. I believe in making things the best they can be. This is something innate within me, from having the cleanest and best maintained bike as a child to honing the craft of car care for the flawless presentation of cars today. Within the controlled environment, we have the perfect condition to carry out all Detailing and Ceramic Coating full requests. Given how precious your vehicle is and as you can appreciate, the location of our studio is never disclosed to non-clients, keeping your vehicle out of sight whilst in our care. We supply direct-replacement mesh grilles, light lenses and a wide array of trims, spoilers and surrounds to add character and refinement to your car. This product was first formulated in the early 60’s for NASA, to protect their spacesuits, where it was successfully used. It was then adopted by the US Military in the early 1970s having met the remit to protect their tyres when shot! It was introduced and tested for UK military use, before entering service within the entire NATO forces. It has been successfully used in conflicts such as Iraq and Afghanistan, where independent reports have been written in testament to its effectiveness. Every Jaguar owner likes to stand out and what better way than ordering yourself a unique quality gift to accompany you and your Jaguar. JEC members receive a 15% discount. Personalisation is everywhere and the advance of internet, digital printing technology and special inks means that more complex, high quality and personalised printing can now be achieved cost effectively and quickly – on items that don’t even have to be flat - in individual print runs. ItsMyne has been set up to satisfy the developing desire from its customers for a whole range of beautiful personalised products – not just phone cases - using this exciting new printing method. Lightfoot helps you use less fuel, reduce harmful emissions and stay safe every time you drive. To help that little bit more, JEC members get £10 off each product. Every year, we hold the Vredestein/JEC Jaguar XK Races, Toyo Tires/XJ Restorations Jaguar Saloon & GT Championship, and XJ Restorations pre-66 Series. We also run Track Days for members. 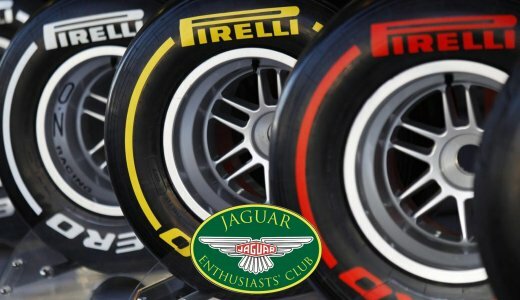 Our superb online gift shop sells everything from JEC and Jaguar merchandise including clothing and watches to car items such as cover and expert workshop manuals. Perfect for collectors! 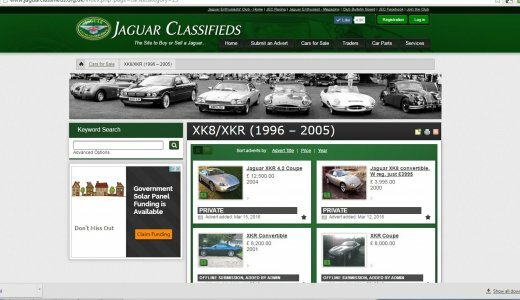 Our superb online shop sells everything from JEC and Jaguar merchandise including clothing and watches to car items such as indoor car covers and expert workshop manuals. Perfect for collectors! 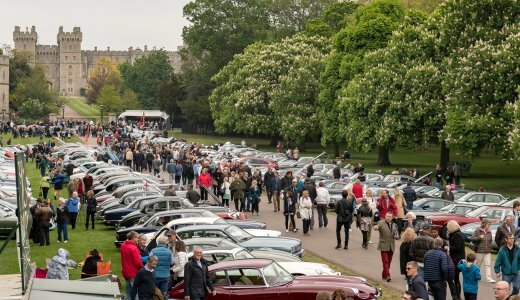 We organise events to suit all tastes and pockets, with everything from overseas tours and major events with 1000+ cars to caravan rallies and regional lunches. Members get discounted rates. Our comprehensive technical advice service isn't matched by any other club. Our full-time Technical Advisor and model specialists offer expert advice on all aspects of Jaguar, Daimler and SS cars. Our fully-qualified assessors can inspect your vehicle, giving it a full written report and valuation. As Jaguar experts, we know exactly what is the correct information for specific models and years. We have 90 regional branches worldwide, offering everything from social meetups to tours and Sunday lunch runs. They also attend shows and assist members with their knowledge of local services. 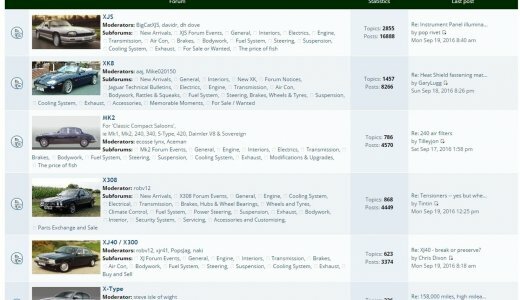 We host our own classified website with over 500 adverts for cars and parts. Members and non-members alike can advertise free of charge, though member adverts are also displayed in our magazine. We run a comprehensive forum split into model sections providing detailed information. Chat with like-minded members, or simply make use of the knowledge that has been assembled over the years. If you wish to register your classic Jaguar in the UK but lack a V5C registration document from the DVLA, we may be able to assist. The procedure differs depending on previous UK registration.